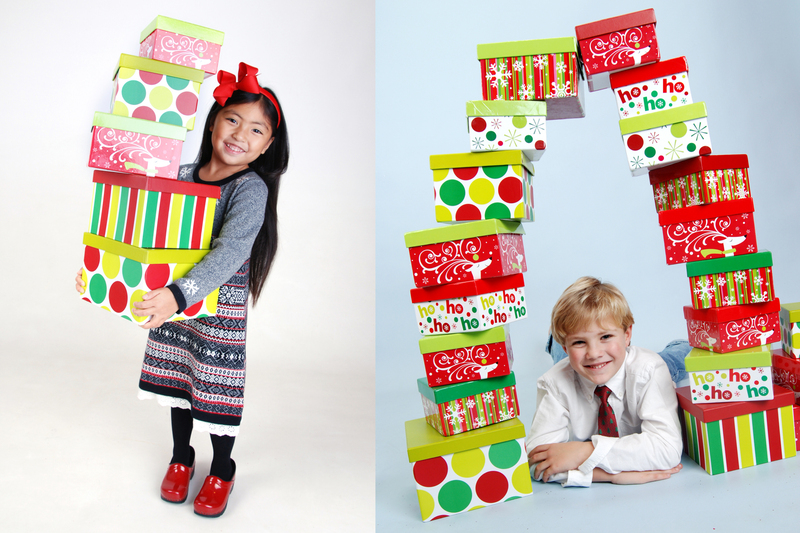 The Holidays are officially here at Portrait Simple! We are so excited to officially be in the throws of another holiday season. While this is certainly our craziest time of year, its also the time of year that we get to see so many of our loyal clients–and meet so many new ones! With the opening of our new location in Burlington last month, we have been so busy capturing this years holiday memories. 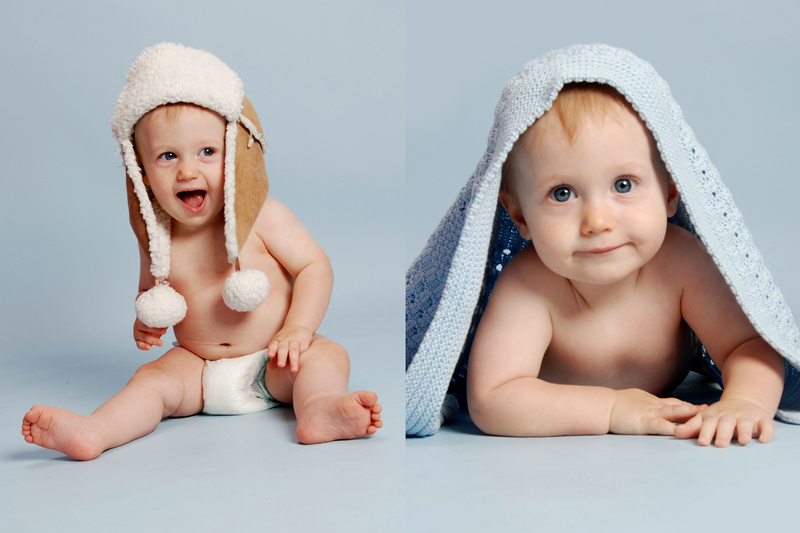 Here are just a few of our images shot so far! 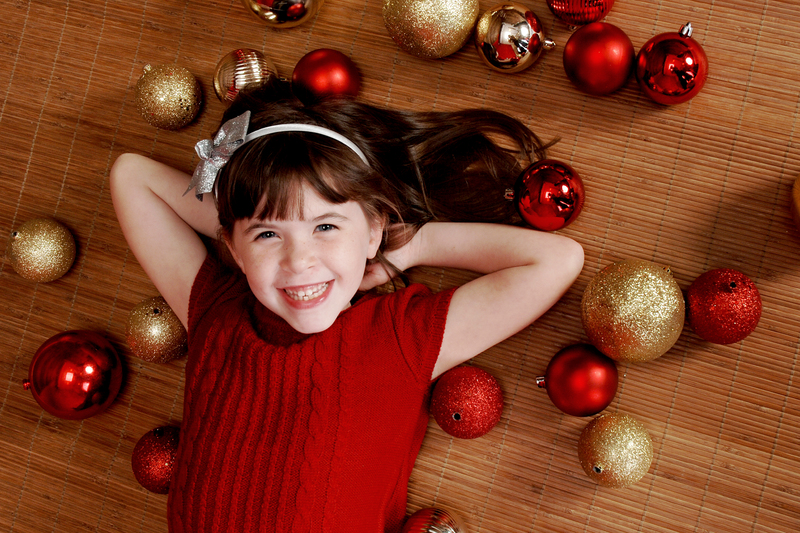 Give us a call now to set up your holiday portrait session! Categories: What's New | Tags: Children. 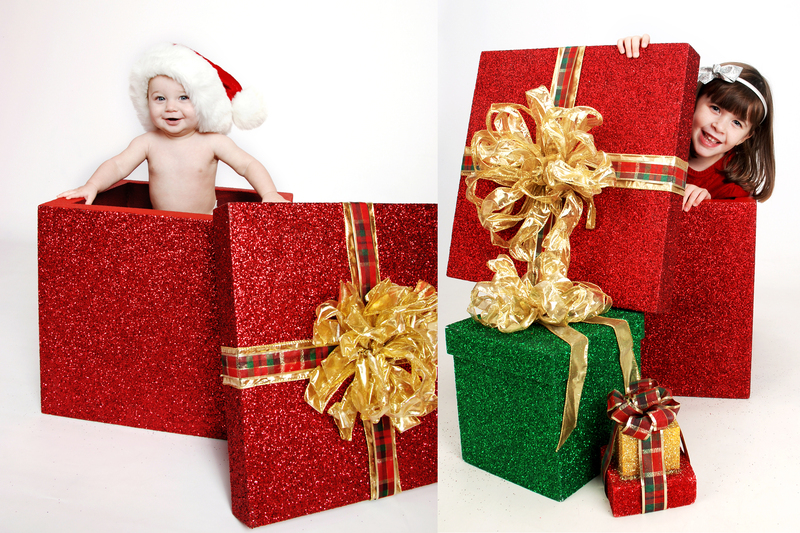 Fun, Childrens Portraits, Christmas, Creative, Family, Family Portraits, holiday, holiday cards, Portrait | Permalink. With the official kick-off to the holiday season right around the corner (Veteran’s Day, to be exact) we thought we would share with you all the great things we have this year to accent your holiday portraits. Our selection this year is bigger and better than ever. Some are brand new, and some are tried and true and have remained your favorites throughout the years! *please note: while we have all of these items in every location, the style and colors of each may vary! We change our colored backgrounds with the seasons, and for the holidays we opted for more neutral colors rather than the traditional reds and greens. Now you can have your images displayed all year long! 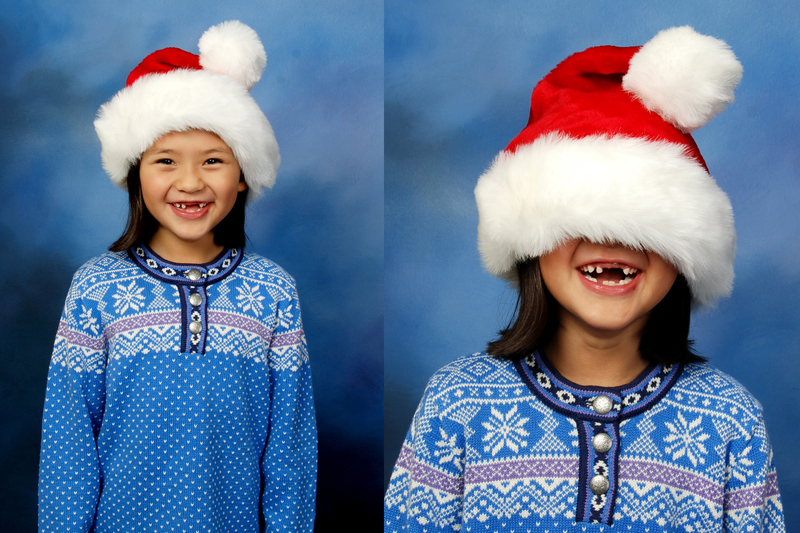 This simple accent goes with any outfit and brings just the right amount of holiday spirit to your portraits. 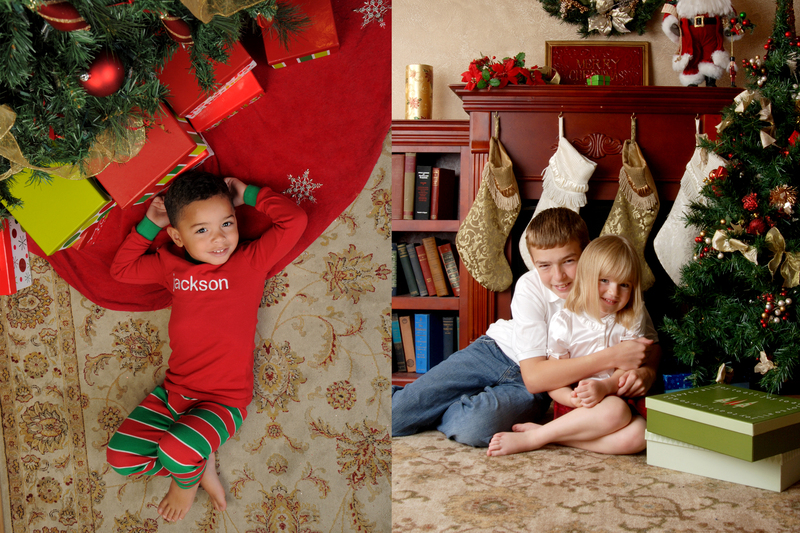 A customer favorite over the years, these actual fireplaces and Christmas trees add a traditional touch to your holiday portraits. Yet another customer favorite, using our ornaments to accent your holiday outfits looks great! 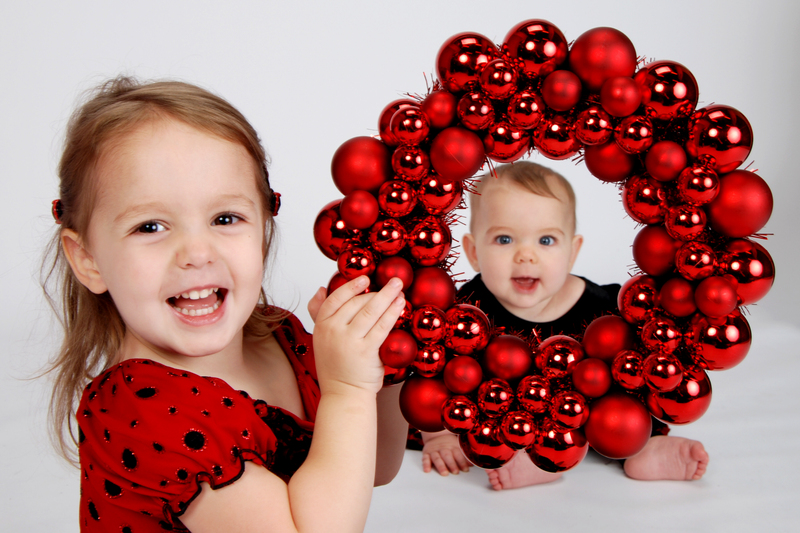 Similar to our ornaments, these are a fun and simple addition to your pictures. Bundle Up! 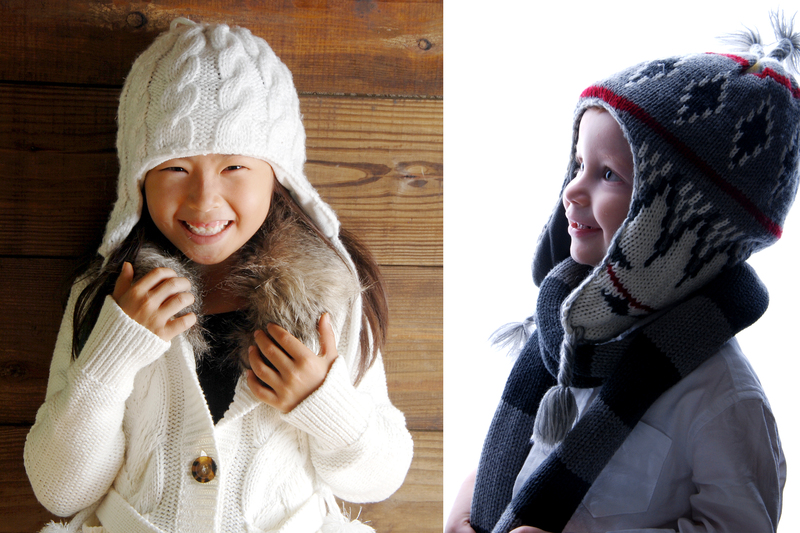 Our variety of winter hats, scarves, and mittens make your portraits feel extra warm and cozy. 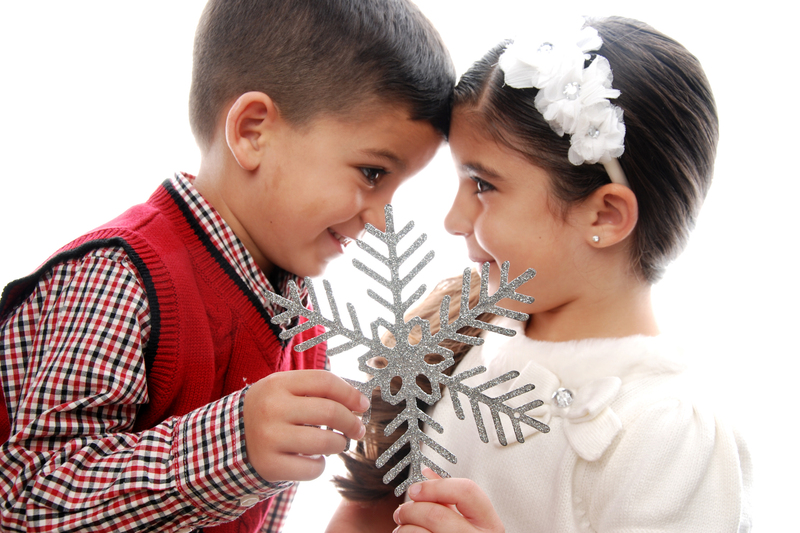 New this year, we have made a template that digitally adds snow to your image. You can be in a winter wonderland without stepping outside! 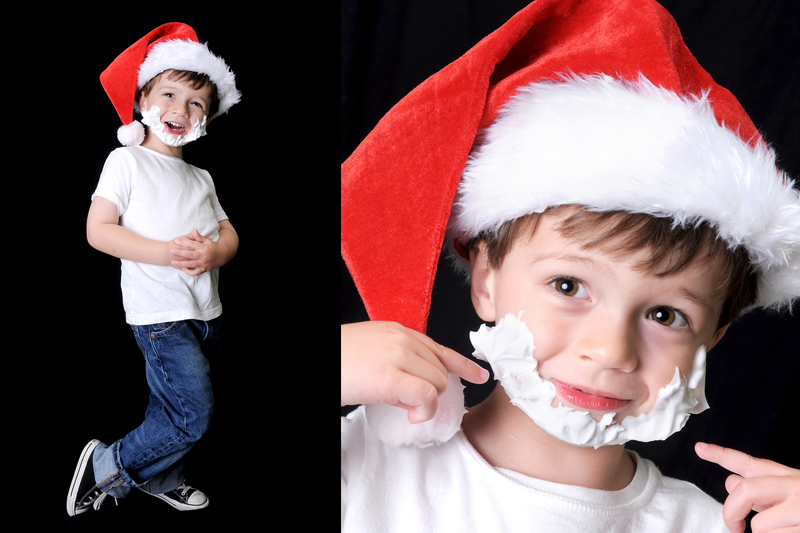 For our older subjects, this shaving cream Santa beard brings out some really great expressions. They think its hilarious! We have a variety of hand knit holiday hats for you to use. 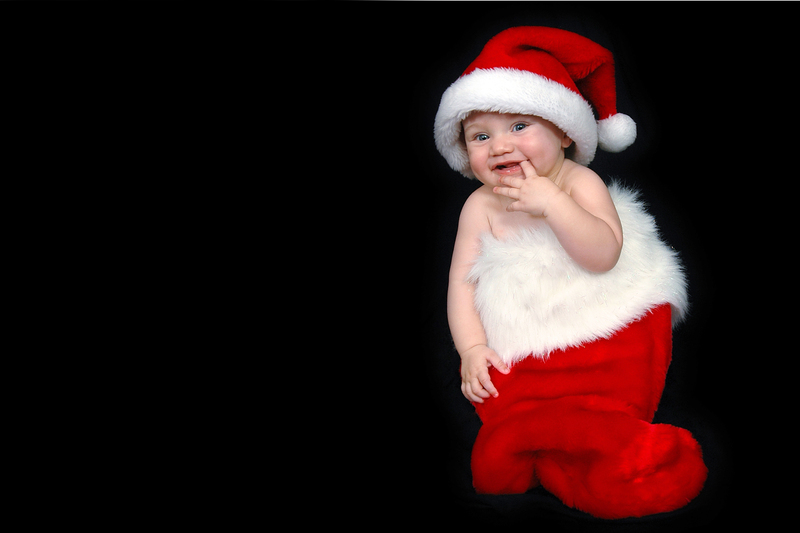 Paired with just a simple diaper cover, your child can become Santa’s Little Helper for the day! This is another simple accent that has been a dependable favorite over the years. 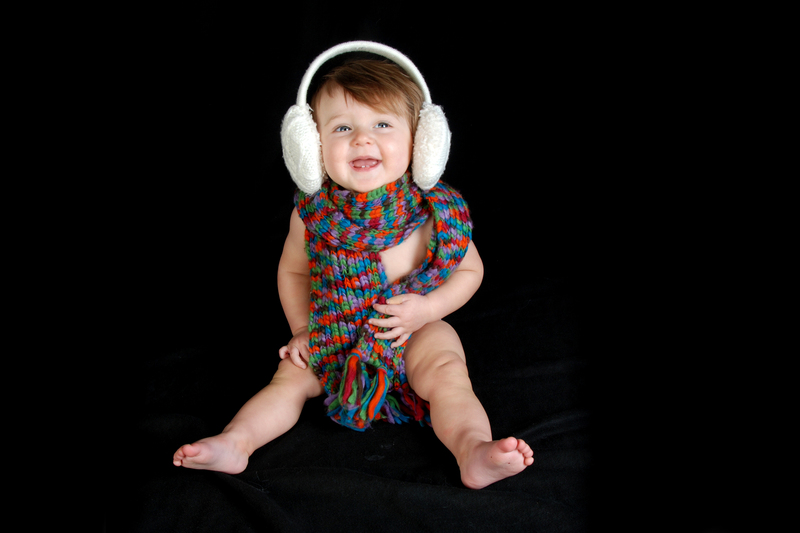 We can use them in a variety of ways, and they add a very classic touch to your portraits. Not ready for snowflakes and winter hats? 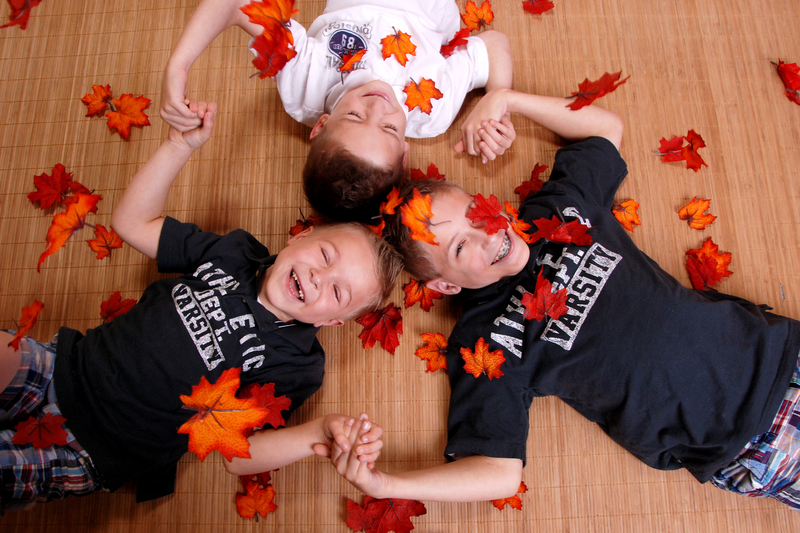 These fall leaves are a perfect way for you to hold onto that last bit of fall. 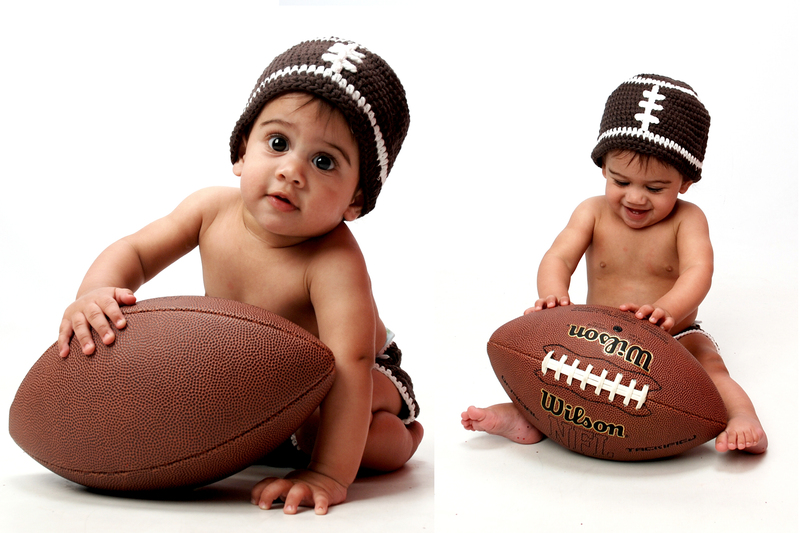 With the NFL season in full swing, we have stocked our studios with footballs, team jerseys, and our newest addition to our sports line-hand knit football hats and diaper covers! 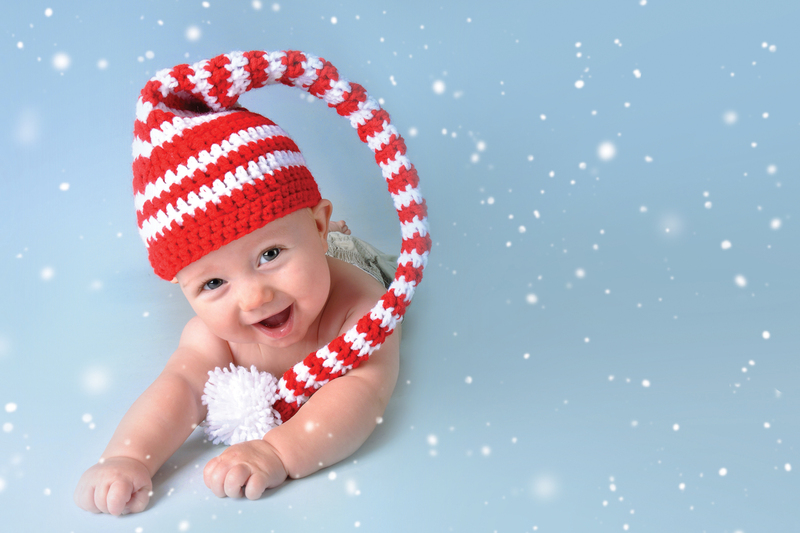 There isn’t much cuter than wrapping your little bundle of joy in a stocking this holiday season! 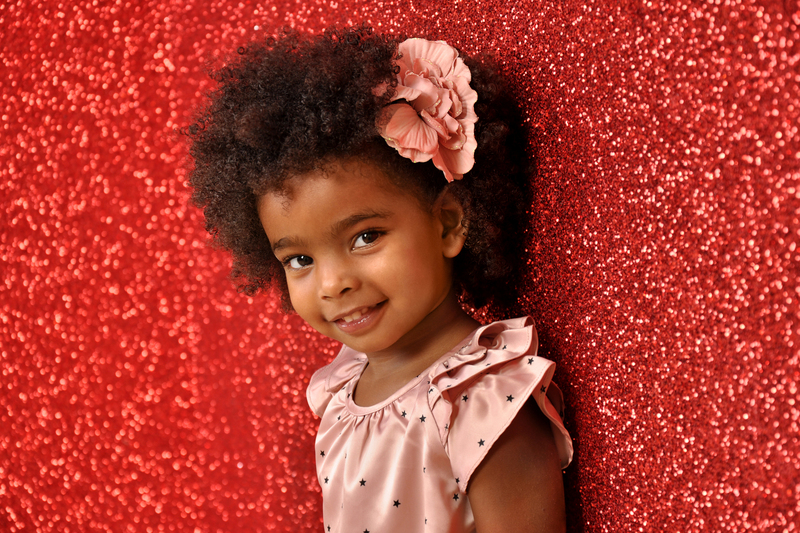 Another one of our customer favorites, the glitter wall is perfect for any age! Another new addition this year, these fun gift boxes are already shaping up to be a customer favorite! We have a variety of holiday wreaths in our studios that can be used in many different ways. Perfect for framing little faces! 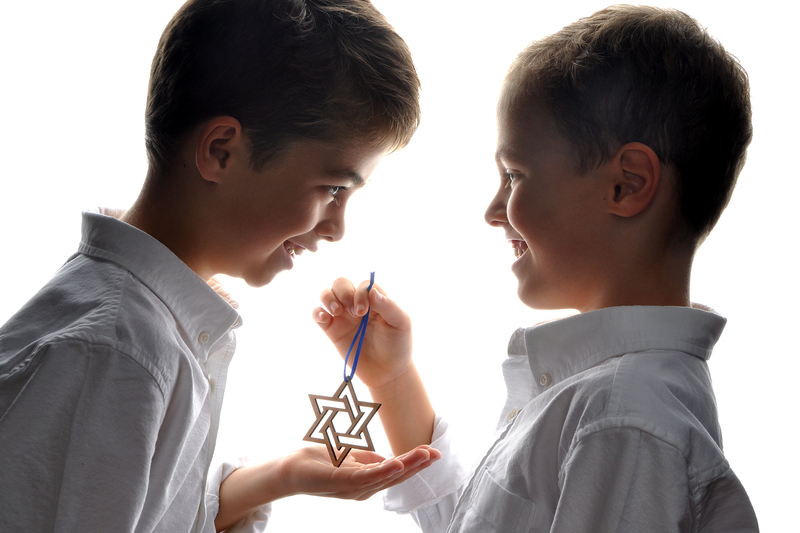 We also stock our studios with dreidels, menorahs, and other simple items representative of the holiday. These items work perfectly with the variety of Hanukkah cards we offer! 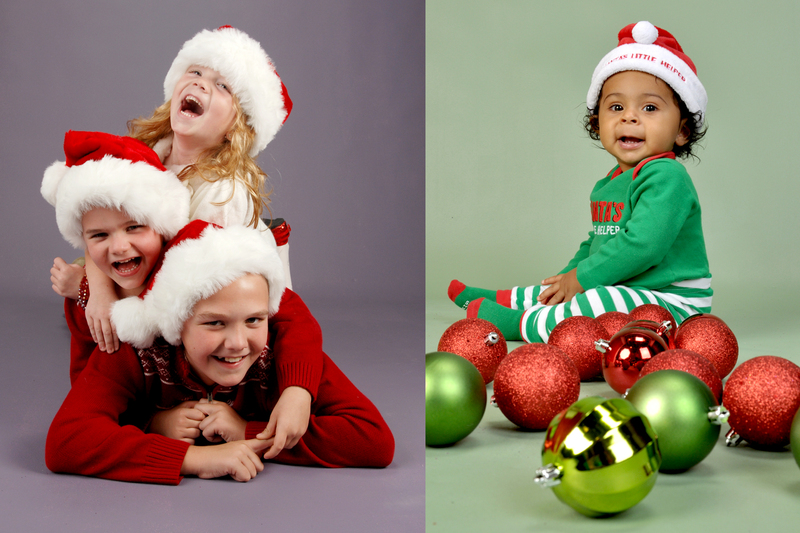 Once the season kicks off, our studios book appointments quickly, so be sure to call your local studio to set up your holiday portraits soon! We look forward to seeing you! 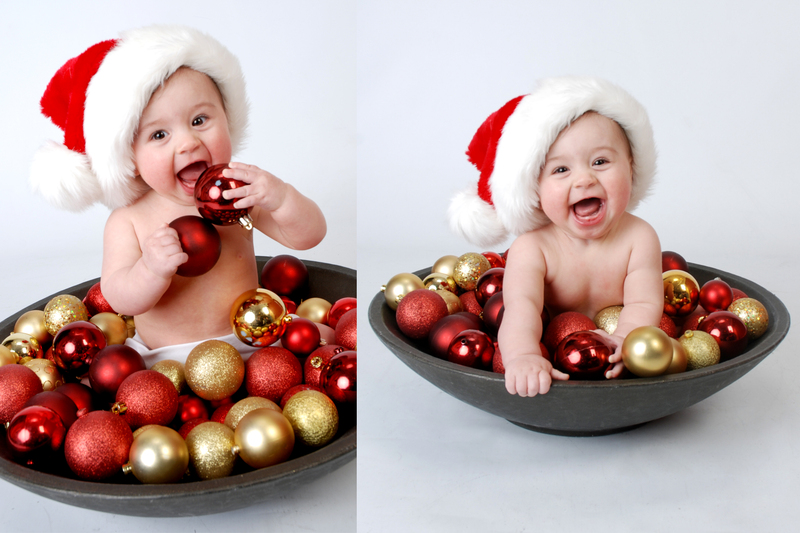 Categories: What's New | Tags: Christmas, holiday, holidays, portraits, winter | Permalink.